and it just didn't seem right to ignore them. This breakfast really is so quick and the outcome so rewarding. Preheat oven to 450 degrees. Put your pan in oven while it heats so it gets hot too. Put butter in pan and let it melt. Place remaining ingredients in a bowl and mix. Poor mixture into pan and return to oven. Bake for 20 minutes until browned. Top however you like. 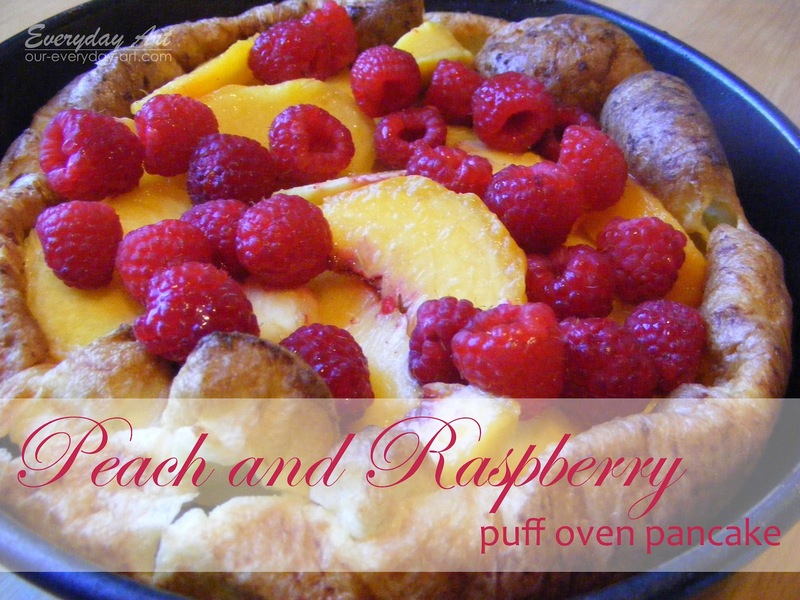 I used plain yogurt, sweetened with a little brown sugar, peaches and raspberries. YUM!